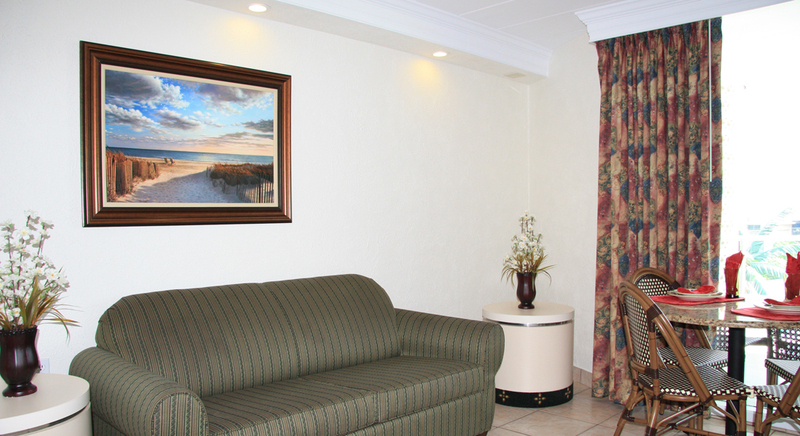 Living room of Superior Suite offers a sofa couch, flat screen TV and kitchen. 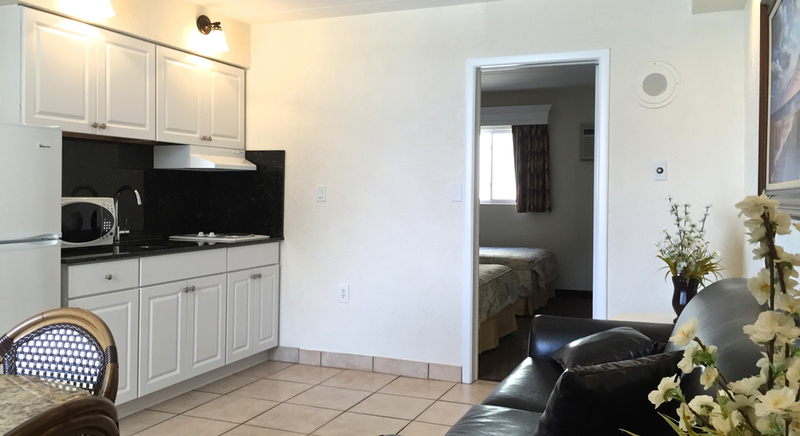 Kitchen includes full size refrigerator, stove top, microwave oven, toaster, utensils, cookware and Keurig coffee maker. 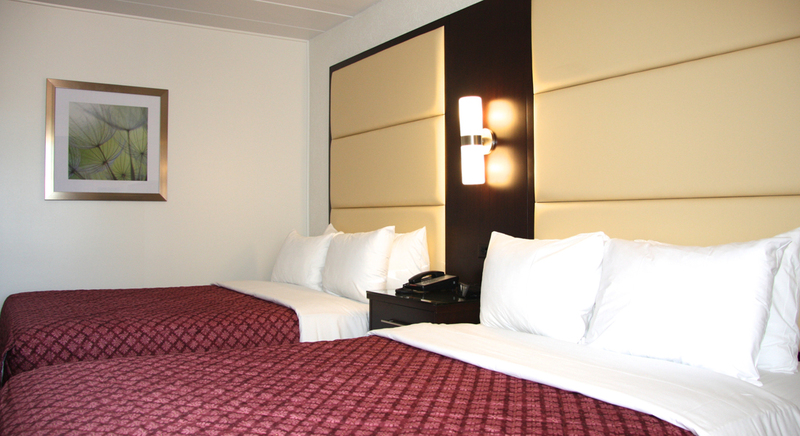 Bedroom provides two double beds and flat screen TV. 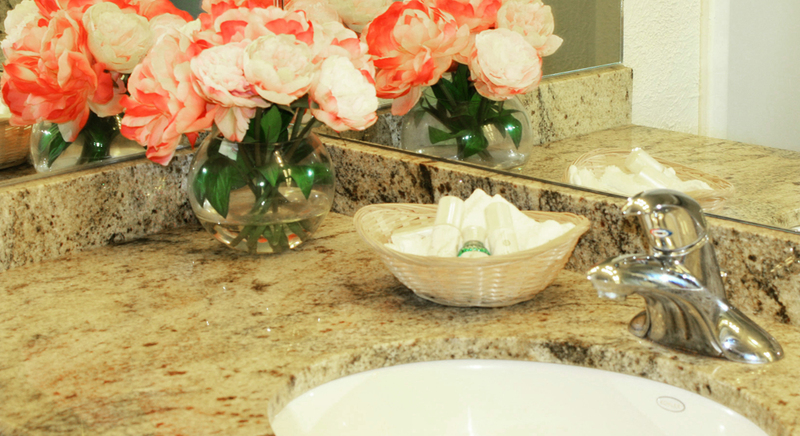 Beautiful vanity area with granite counter top offers additional sink (vanity area is optional, layout may vary). 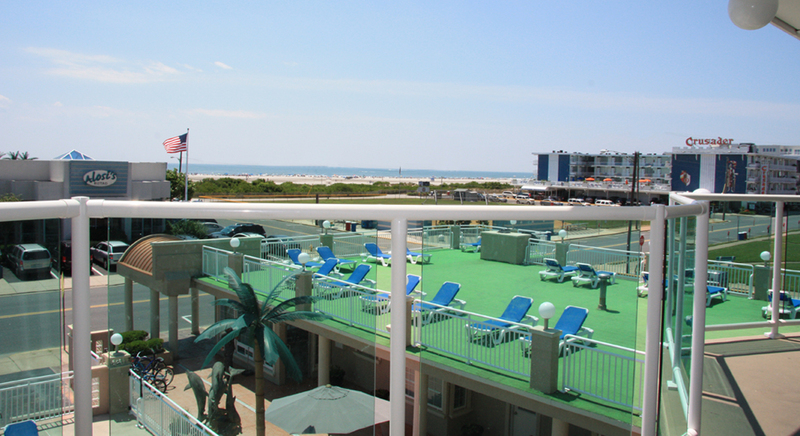 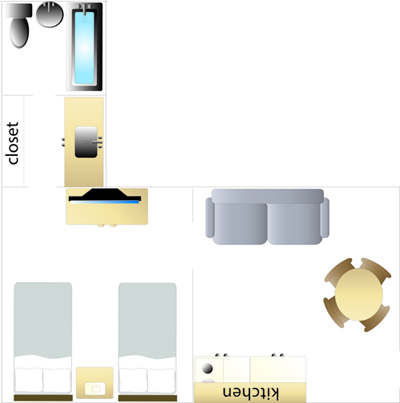 Accommodates up to six person.